1. 30 days of vegan blogging. Seven more days of posting is completed again. Yay! Meatless Monday Meal Ideas every Sunday night. I threw a slightly more involved recipe this time, Garlic Mushrooms and Lentils. Five recipes a week. 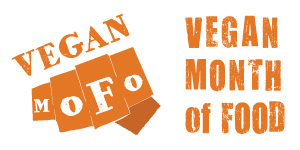 In addition to the Meatless Monday idea, I posted: 1. 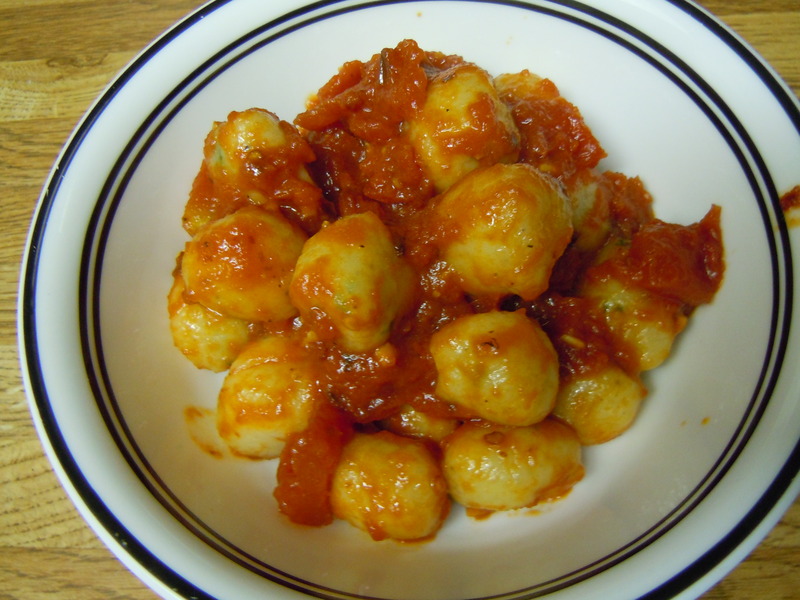 Homemade Gnocchi with Arrabbiata Sauce, 2. Herb-Scalloped Potatoes, 3. Stir-Fried Carrots and Ginger with Mustard Seeds, 4. Spicy Stuffed Bell Peppers, 5. Mostly Clean Rice, 6. Creamy Dreamy Oats. My favorite of the week is fo’ shizzle the gnocchi. Baked goods every Friday. This week, I made room in my life for the above-mentioned Chocolate Gingerbread. A cookbook of the week. I dove into some Veganomicon and even offered a chance to win a copy (less than three hours remain!). 2. Updated pages on the blog. I honestly tried, but WordPress hiccuped and ruined my recipes page. I will keep trying to fix it, promise. 3. Weekly contests. The third announcement is here, and the deadline is almost up. Hurry and enter! The winners were announced here. I hope you’re all still having fun! Yes, they look like a mushy mess, but they are amazingly delicious, easy, and filling. Oh yes, and healthy, too. Notice how there’s no fat? Yes, I promise it still tastes good! They recipe is adapted from Madhur Jaffrey’s World Vegetarian cookbook. Wash the lentils. In a medium pan, heat about 3 tablespoons broth over medium heat. Add the onion, cooking until softened. Add more veggie broth if necessary. Then add the red pepper and 3 garlic cloves to the pot, stirring for 10 seconds before throwing in the lentils, the bay leaf, and 2 1/2 cups water. Boil, reduce heat to low, and partially cover. Cook gently for 30 minutes, or until the lentils are tender. Add salt and pepper. Set aside. Meanwhile, clean mushrooms and thinly and evenly slice. Heat 3 tablespoons or so of the broth in large frying pan over medium heat. Add remaining 3 cloves of garlic. Stir once and add the mushrooms, sauteing until they have softened. Add salt, pepper, and cayenne, stirring to mix. Add in 4 tablespoons of parsley and turn off heat. Serve the lentils topped with the mushrooms. Makes four servings. The original recipe called for something like 1/4 cup of olive oil for four servings. Mine has none at all, and you wouldn’t even miss it. Serve alongside a simple green salad and enjoy! Giveaway and contest entries end tonight!